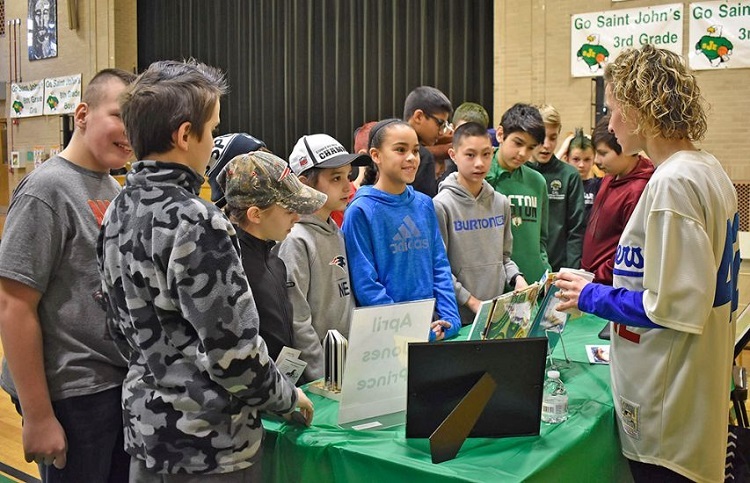 Students, teachers and parents from St. John the Evangelist School in Attleboro enjoyed a local children’s author book fair as part of their Catholic Schools Week celebrations. The fair was a meet-and-greet of local children’s authors. The students were able to ask questions, purchase books and enjoy some themed activities. The authors signed books and shared their journey and stories with the attendees. Shown here are students with author April Prince Jones.